We went to Cody on our way to Colorado to meet up with some friends from Tucson but have not included pictures in this years travels since have covered it previously here. We also returned to Fort Collins which we described previously here. So, the following are the places in Colorado that we have not covered previously. Grand Junction is a bigger small town on I-70 near the Grand Mesa and the Colorado NM. 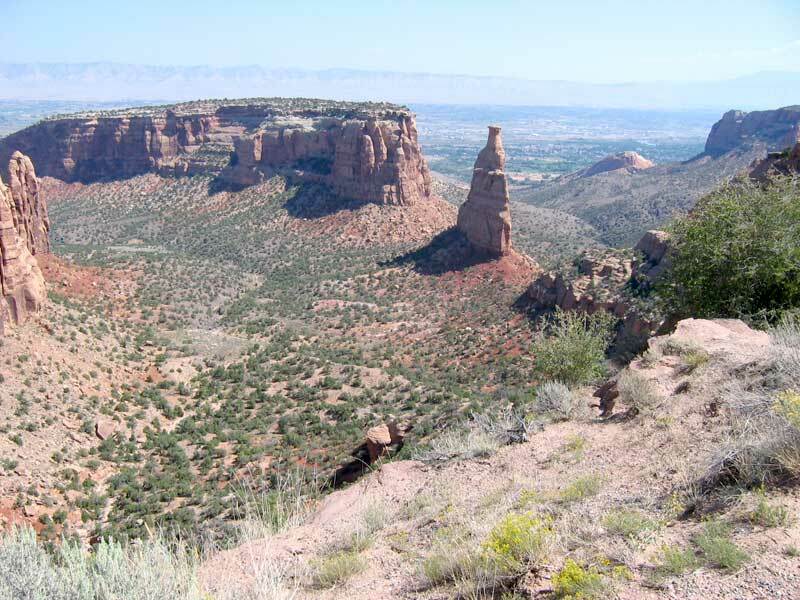 You look at the Bookcliff mesa accross I-70 from the town. 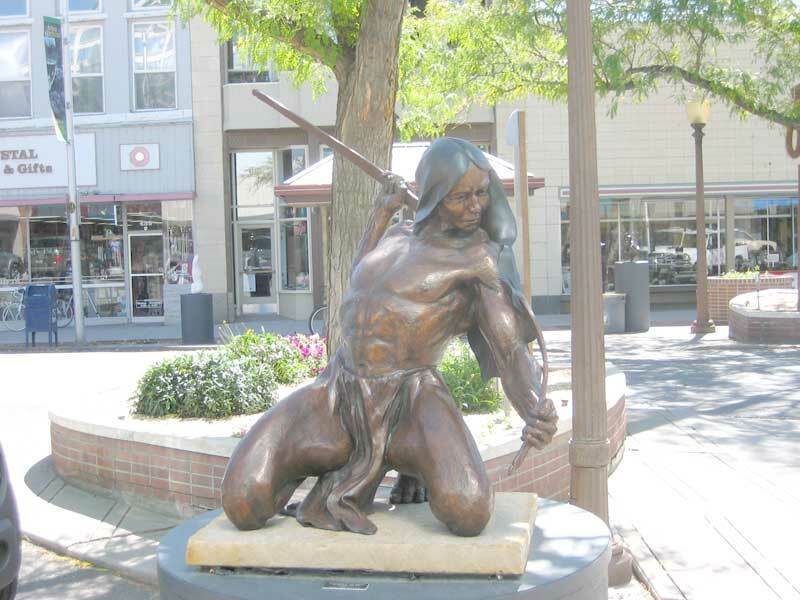 They have a Main St. in town that is tree covered and is the display place for the bronze statues of many of the local artists. It nice to walk and look at the statues and maybe stop and have some lunch at one of the several places to eat such as the Rockslide. 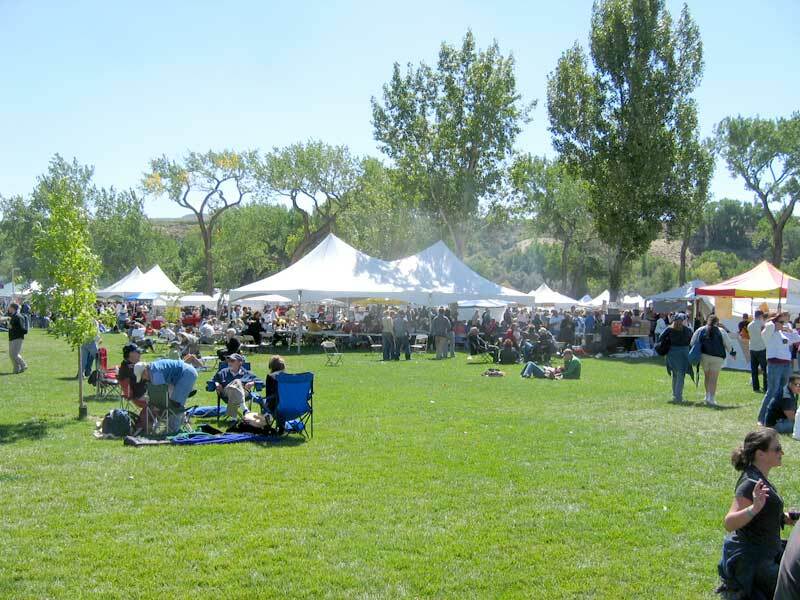 There is also an annual Wine Festival at the park in Palisades. This area used to be all orchards of fruit trees but the wine industry came to town and it is now almost all vineyards. 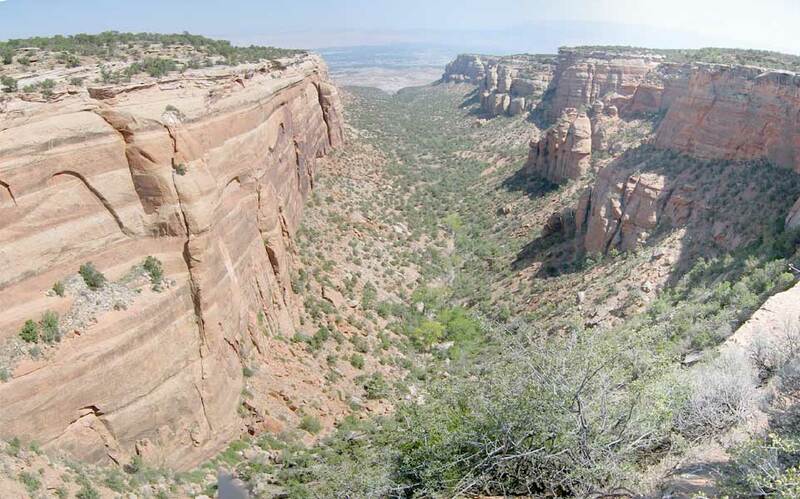 Some of the canyons in the Colorado NM. A nice drive around the top. 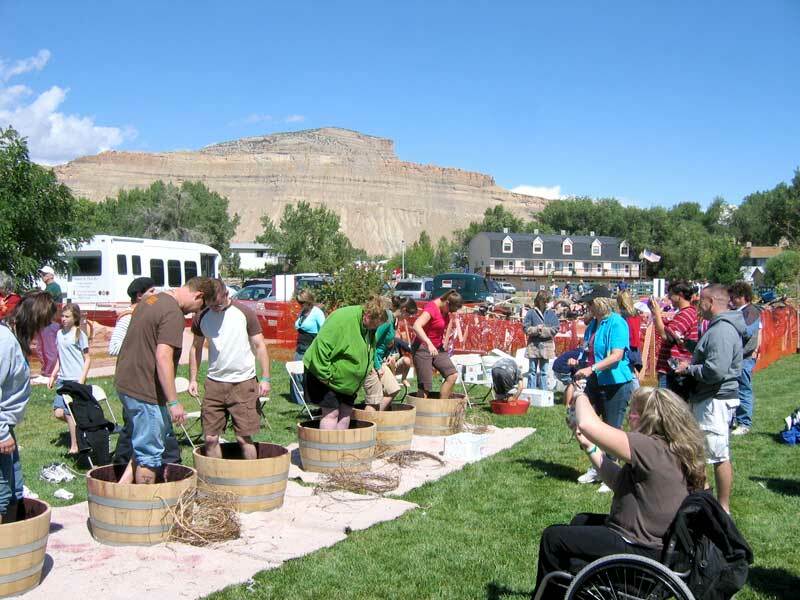 The wine festival is getting bigger each year and will soon have to move to another, bigger, location. Looking down from the Grand Mesa to Grand Junction (upper center) and the valley that leads the left to Delta and Montrose. The Bookcliff mesa is in the upper right background. Olathe is a very small agri-town between Delta and Montrose. It has a very nice and comfortable campground. There is good fly fishing near Delta on the Gunnison and about 16 miles south of Montrose on the Uncompahgre via access at the Ridgeway State Park campground. This is a nice place to lay around before heading back to Tucson. 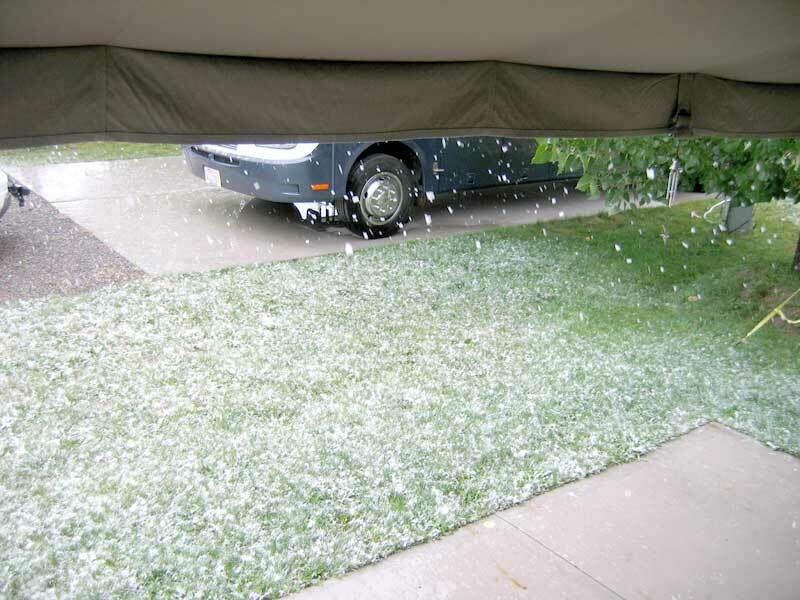 We may have stayed a little long this year since the temps are in the 40s and we got snowed on.